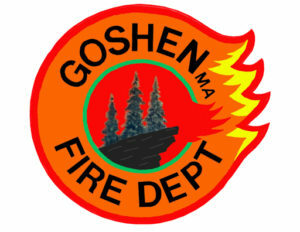 GOSHEN, MA – Goshen firefighters returned to 164 Berkshire Trail West early Saturday afternoon to check on the property and extinguish a few hot spots that continued to smolder. An access hole was cut into the “C” side of the house to gain access to one particular spot that was covered in debris. 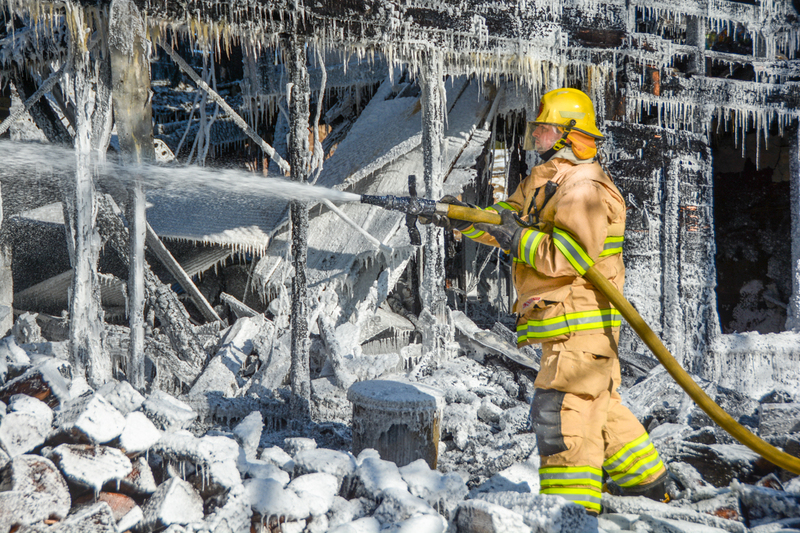 That allowed us to flood the area in firefighting foam in an effort to smother the pile. Other areas of concern were treated the same way. 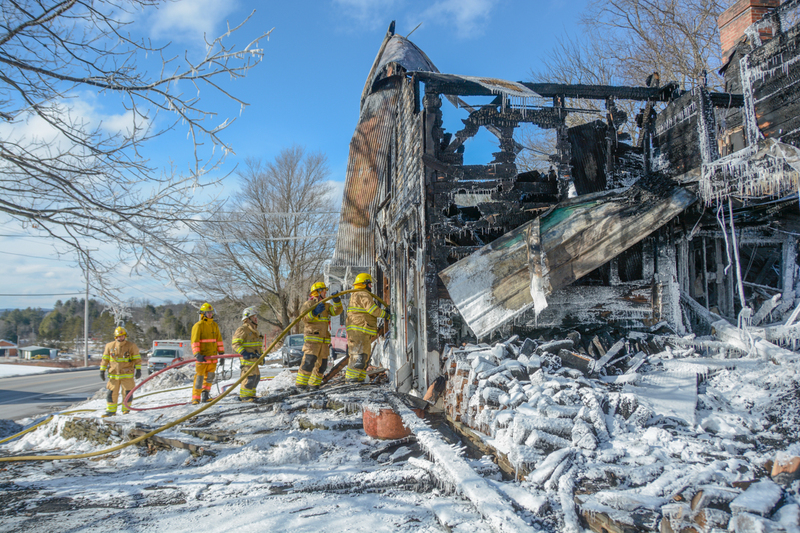 After returning to quarters, firefighters re-packed hose on the engines, started washing bunker gear, re-fueled generators and prepared our equipment for the next call. Oh, and we ate cold pizza which really hit the spot. 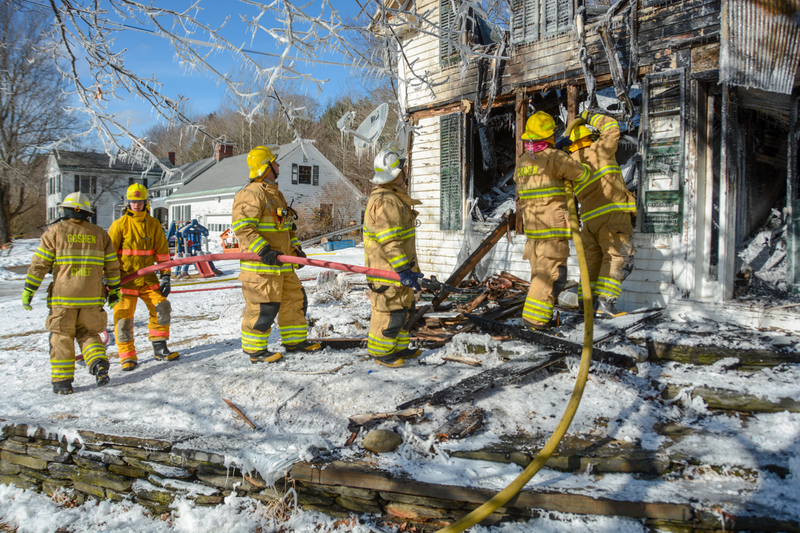 We constantly train with our neighboring departments for incidents like this. Reality dictates that our training will eventually be put to the test. That training, along with our training partners did not let us down. 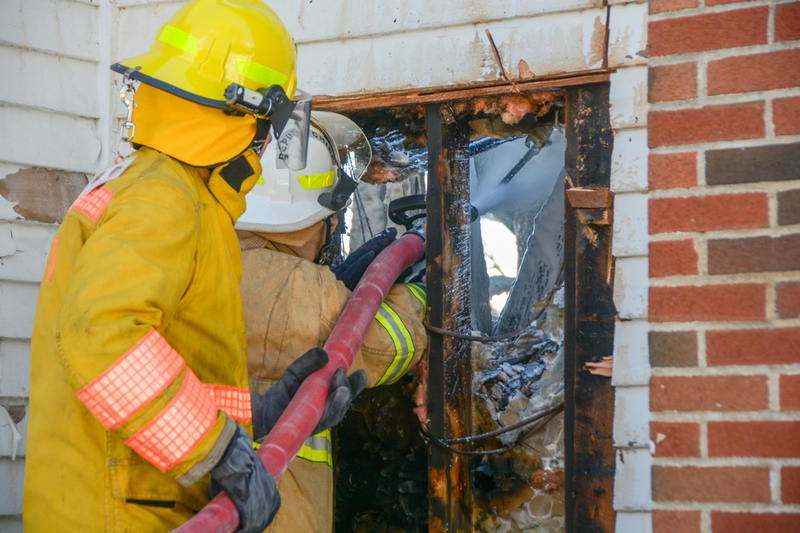 Firefighter Steve Estelle cuts an access hole in the "C" side of the house so we could get closer to a stubborn hot spot. 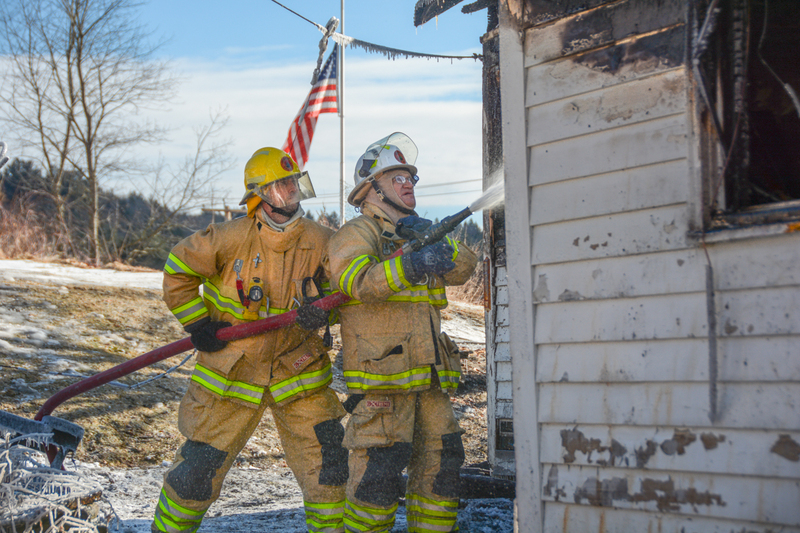 Deputy Chief Kim Dresser (on nozzle) and firefighter Steve Estelle apply more foam to a few areas of concern. 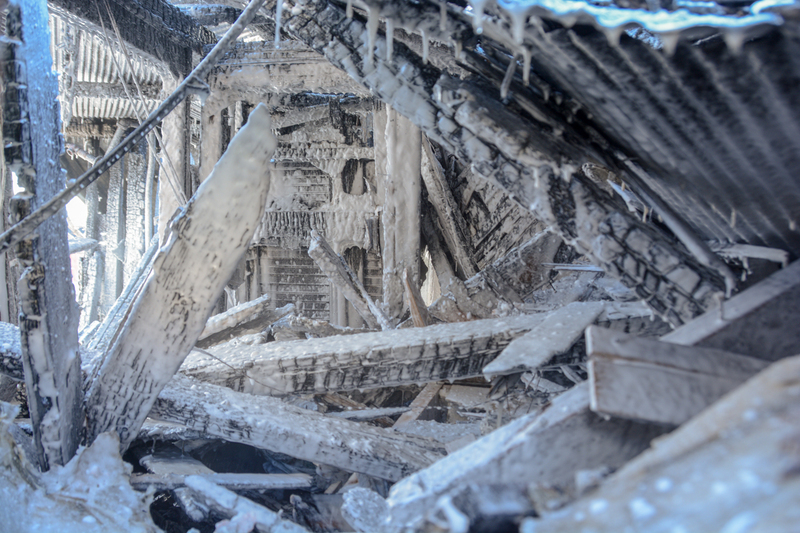 Class A foam coats the charred remains of the interior of the house in order to reduce the chances of re-ignition. Firefighters work to snuff out any remaining hot spots below the area where the second floor collapsed. The front of the house at 164 Berkshire Trail West. 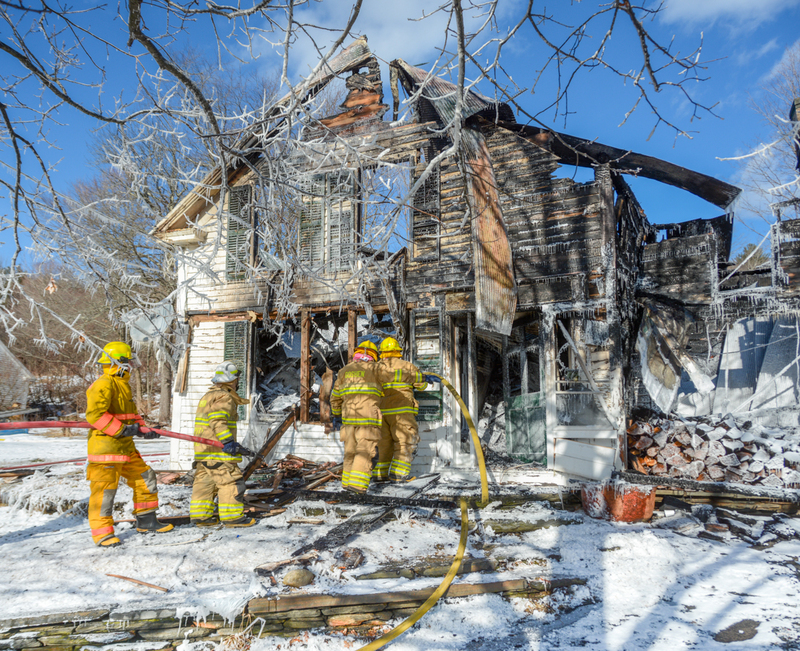 Firewood on the front porch is coated in foam while firefighters look for signs of any residual smoke in the charred remains of the house. 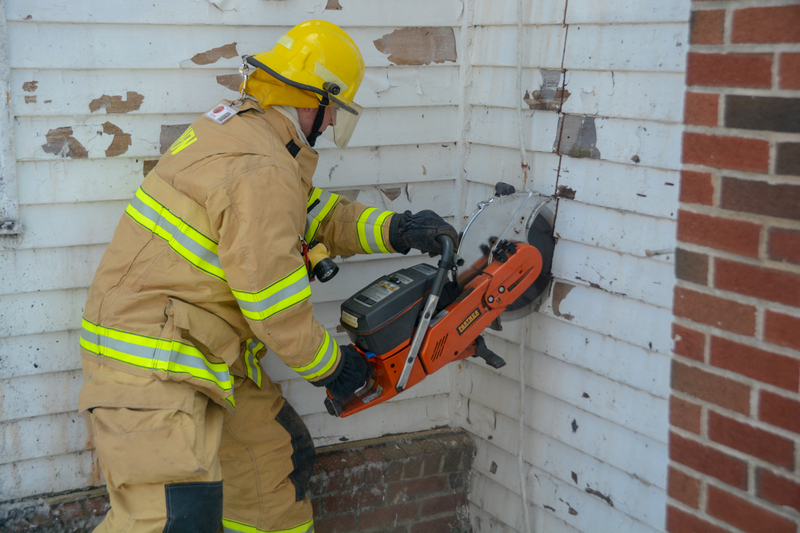 After cutting a hole in the wall, Deputy Chief Kim Dresser (on nozzle) and firefighter River Williams create a blanket of foam to smother the debris pile. 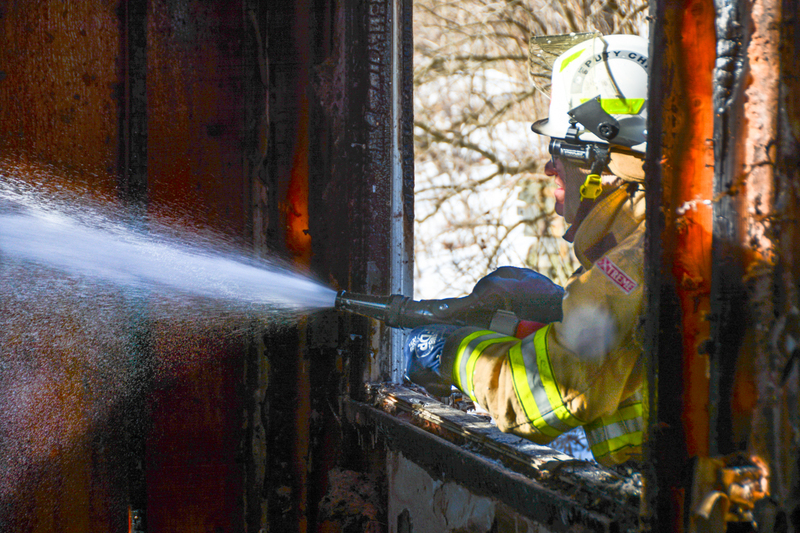 Firefighter Steve Estelle aims the nozzle towards the main section of the house where whips of smoke gave away hot spots. 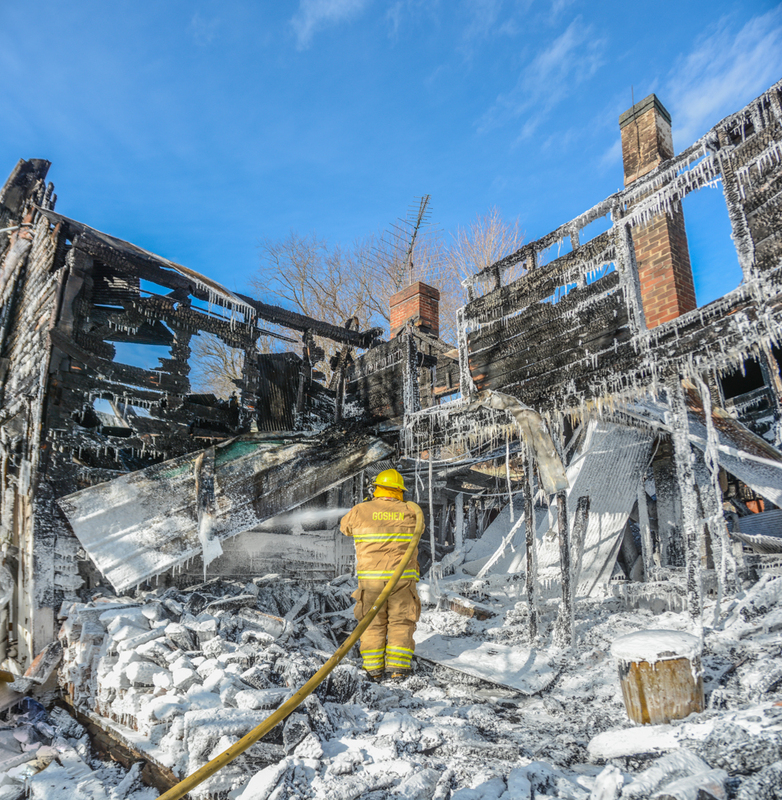 Firefighter Chris Roberts stands on what used to be the front porch as he applies foam to the base of the debris pile in the main part of the house.